As President & CEO of Northwood Ravin LLC, David manages the day-to-day operations of the company and works with the senior management teams in establishing and implementing strategic goals and initiatives. Northwood Ravin employs over 270 associates and concentrates on developing, constructing, and managing luxury for-rent and for-sale infill and mixed-use housing throughout the Southeast, Southwest and Mid-Atlantic. David previously worked at Crosland for 14 years and served as President of Crosland Residential which operated a multi-family portfolio of over 6,000 units. 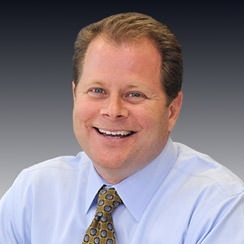 David has developed over 75 multi-family communities with a market value exceeding $3 billion, and which have received national and regional recognition from the National Association of Homebuilders, Urban Land Institute, ICSC, CEL National Customer Service Company, and National Multi-Family Housing News.